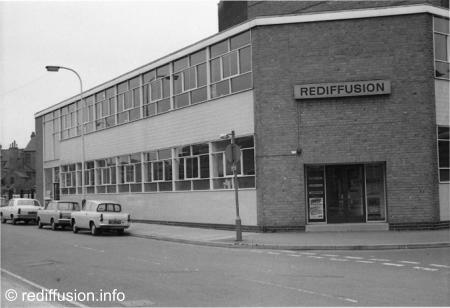 From its inception the Rediffusion East Midlands Region had Nottingham as its focal point but the boundaries had, of necessity, been very elastic. was for some time vested in the then Chief Engineer of East Midlands, Mr. M. Exwood. trial of the then quite new 6 pair cable. 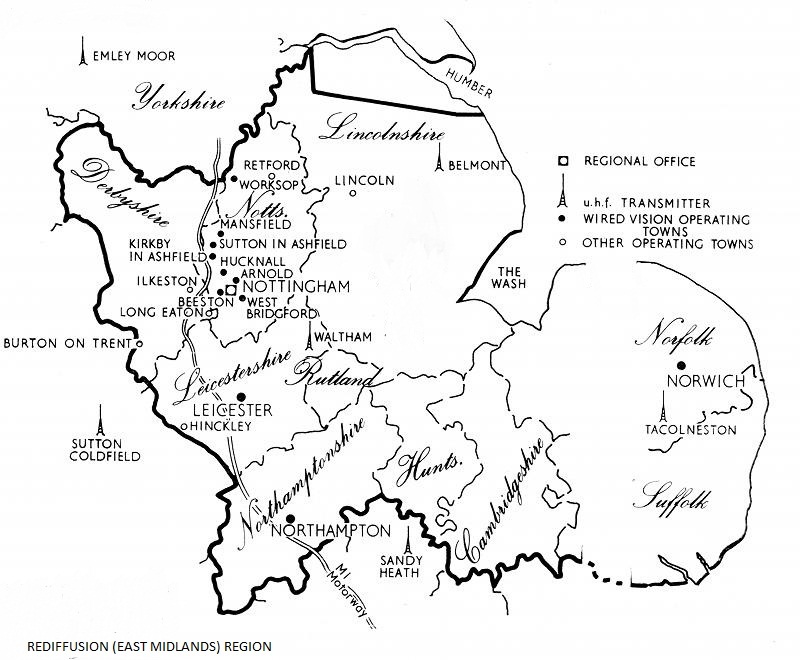 The 1960s saw further developments and added Burton-on-Trent, Retford, Lincoln, Northampton, Hinckley and, finally Norwich to the sphere of activity. Midlands as depicted on the accompanying map. were involved in updating the older networks, firstly for additional sound channels and later for television programmes. The opening of the Sutton Coldfield transmitter on the 19th December 1949 launched the Region into television and by 1951 Nottingham was playing its part in the development of wired vision operations on a large scale. Engineering control at the Region was vested in the Chief Engineer, Mr R E Billham, who served the company for over 45 years having joined the Northern Wireless Relay Company in Newcastle upon Tyne in 1932. After three years on Tyneside he took over the Rotherham Branch as Engineer in Charge (EiC) followed almost immediately by his appointment as Engineering Manager of that branch. Transfer to Nottingham took place in 1944 taking up the position of Chief Engineer in 1949. 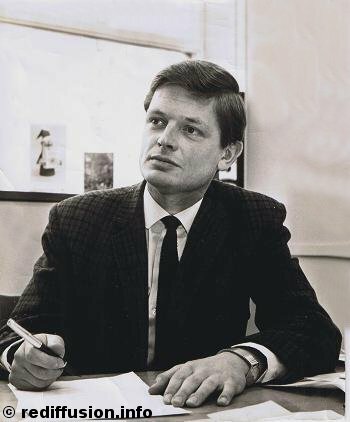 Deputy Chief Engineer in 1967. Mr. R. J. Poole was the Assistant Chief Engineer having spent some 25 years in the East Midlands Region in varying capacities such as Test Engineer, Senior Test Engineer and EiC Television at Nottingham branch. operation where Mr. Peacock would atke over Mr. Pooles responsibilities at quite short notice and vice versa. In general the Deputy Chief Engineer would deal with the majority of the internal routines whilst the Assistant Chief Engineer covered most of the field work such as direct advice and regular visits to branches. This department was always regarded as of the utmost importance to the Region and its ability to maintain branch standards, together with the provision of regular assistance to all branches were its main priorities. New engineering techniques were almost invariably introduced through Test Engineers and once those had been established satisfactorily they then become part of branch routines; in this way the branches benefited from a gradual process of improvement. In general it had been found most satisfactory to retain the system whereby Test Engineers were based on the Regional Office in preference to branch-based Test Engineers. As in the case of the executive engineers a high degree of flexibility was encouraged so that, although some specialisation was normal, all members of the department were completely in touch with most or all of the current problems throughout the Region. and L. Seymour. Some small indication of the results of the efforts of this department could be gleaned from the fact that any problems with aerial site equipments were extremely rare and an FC1OO going faulty on service was unheard of. 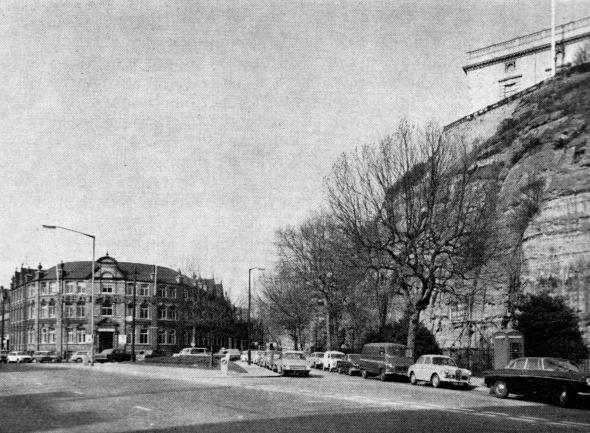 Because the Regional Office and Nottingham Branch had been co-sited for many years the Planning Offices were integrated as one unit controlled by Region but, in fact, the majority of the work output was on behalf of Nottingham, which is by far the largest individual branch. 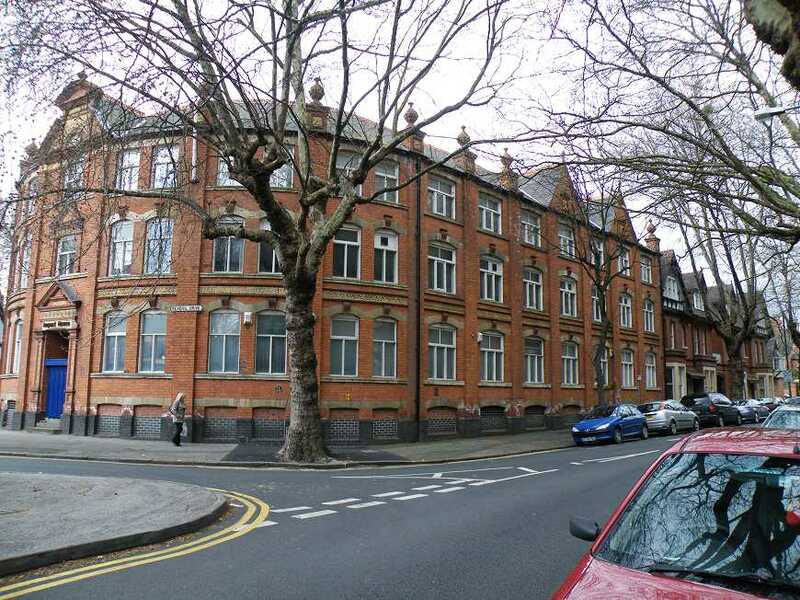 Developments in Leicester, in particular in the RCS. field, made it necessary to have available a Special Projects section, capable of complete planning and costing of new network installations, and this was organised by Mr. M. Savidge an ex-East Midlands apprentice who had previously been in charge of the integrated Regional planning office. 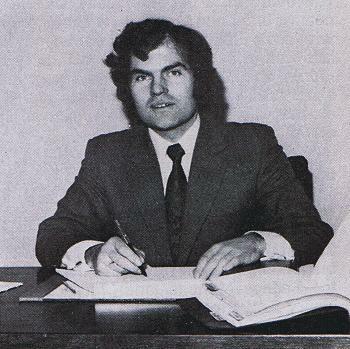 Another ex-apprentice Bob Archer served in the Special Projects section, leaving the original planning department under the leadership of Mr. M. Banham. domestic installations. It liaised closely with each branch whilst such work was being progressed and in addition, the section was responsible for the recording, replacements and general running of the company's transport. because, in addition to the ex-apprentices holding senior appointments within the Region, a number had been exported, including: A. Hellen, Senior Test Engineer Wales. J. Pitt, Branch Manager, South East, W. Jackson, Assistant Chief Engineer, South West. A more formalised training scheme was adopted with the advent of the Training Board under the Training Officer, Mr. R. N. Leigh who was well known to many technicians and engineers throughout the Group, as he spent some years as resident instructor at Poulton before taking up the position. Mr. Leigh was assisted by M. Newcombe and L. Stricksan who covered instruction in television and wiring practice respectively. Every opportunity was also taken to carry out on-the-job training. The facilities, originally provided for engineering training were later expanded for use in training other categories of staff. The Regional Workshop produces new equipment as may be required including bays, kiosks and panels and carries out major overhauls such as completely rebuilding any equipments worthy of such renovation. The installation of sound and television networks in new schools in the Nottingham area had been dealt with entirely by this department over many years, to the complete satisfaction of all concerned. In addition to the production of equipment, the Regional Workshop team carried out major installations on behalf of branches and also carried out most of the electrical maintenance, modifications and installation of lighting and power circuits required In the Region. The Region had always held the view that branch stocks should be kept to a minimum so as to conserve space and to lighten the load on branch staff in recording and control of stocks. The Regional Stores provided the back-up that such a system requirede and regular scheduled deliveries are made to all branches by the Regional Stores van. Mr. Stan Guy was in charge of the stores for many years. In general, the branches were organised similarly but also taking into account the branch size and the geographic location. Apart from Norwich, it ws possible to reach all branches quite quickly given their position relative to the M1 motorway but a quick visit to Norwich meant at least a twelve-hour day. The East Midlands firmly believed that there should be one engineer responsible for all engineering functions in each branch and accordingly retained the Engineer-in-Charge or Senior Engineer appellation as appropriate. Nottingham Branch The Engineer in-Charge of the largest branch was M Russell an ex-apprentice who spent some years as a Test Engineer and then took charge of that department followed by an appointment as EiC at the Mansfield Branch later moving to his position at Nottingham. Because of the size of the branch the responsibility was then split three ways, with D. J. Blackshaw as Senior Equipment Engineer, R.Jarvis as Service Manager and K. Hawkes as Network Engineer. D. Blackshaw was a product of the Group training scheme, having joined the East Midlands on successful completion of his studies, whilst R Jarvis was another home product being an ex-apprentice of 1952 vintage, which meant that he came to the Company in the second intake of boys, just one year after the inception of the scheme. His overall experience covered equipment engineering (he was Senior Equipment Engineer in both Leicester and Rotherham). Much upgrading of the network took place in the mid 1970's to improve overall picture quality. There were many very old pieces of network equipment still in use and the overhaul programme was designed to eliminate these and to remove the many small faults or near-fault conditions which could be found on such networks. 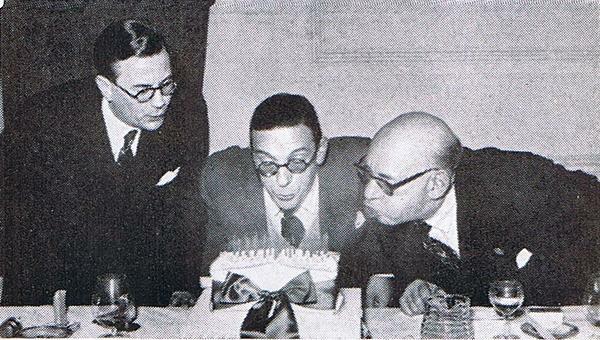 In charge of this operation was Mr. E. A. McColl, another ex-apprentice whose network experience ranked extremely highly. Mr. McColl's first-line assistants were two other younger ex-apprentices: P. BInnall and T. Sills who were now adding an invaluable network experience to their existing knowledge of television and equipment. In common with one or two other large branches in the Group, the Nottingham Branch has Its own transport repair section and its own Joiner's shop; these provided some service to other branches on behalf of the Region. It has been felt at that time that the sheer size of the Nottingham operation detracted from its efficiency to some extent and attempts were made to obtain suitable premises to allow a measure of branch decentralization. The Branch Management was transferred to new premises away from the Regional Office, and some 60% of the engineering function were also planned for relocation around this time, leaving the remainder of the operation in its present location. In addition to the normal branch activities covering the Nottingham area, the showroom and service depot. at Lincoln came under the branch admisnistration from an engineering point of view. Leicester Branch This was one of the newer branches in the East Midlands Region being wired in the early 1960's. 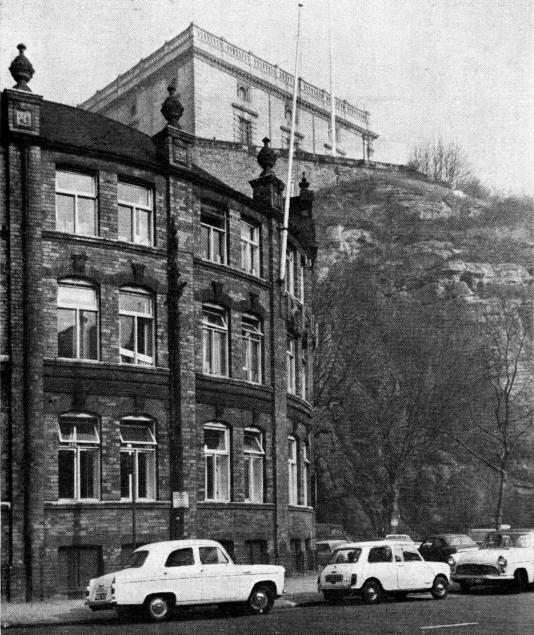 Another Nottingham ex-apprentice, Mr M H Chilton was the EiC and before taking up this appointment in 1966 he had covered a wide variety of subjects in Nottingham; immediately prior to his transfer he was in charge of the network conversion project Much of the branch effort during those early years had gone into the installation of Rediffusion Community Service in virtually all new Corporation properties and at that time there were 3750 revenue producing dwellings with 53% density of Rediffusion sets in use. In addition a further 2240 dwellings were covered by existing RCS. agreements arid known possible future business in this field totaled 1600 dwellings. Since the erection of the first cable in Leicester in June 1961 the network grew to an underground trunk system of 53,000 route metres coupled with a feeder network of 624,000 route metres. 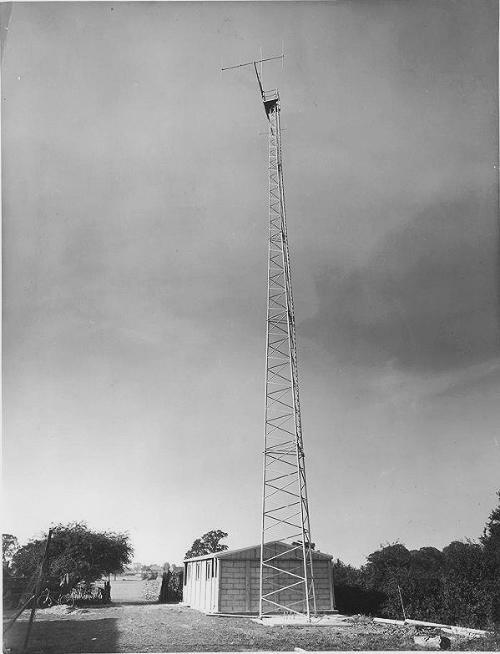 In addition to the development beginning as the first field trial of 6-pair cable, it later became the first practical application of diamond planning, an exercise carried out in co-operation with Rediffusion Engineering. In charge of the networks during the whole of this time had been Mr. L. Wilson who was the first employee of the Leicester Branch; he was transferred from Nottingham to recruit and train a wiring team. As with Nottingham, Leicester Branch had an appendage in that Hinckley with three showrooms and a service depot. was admisistered by Leicester management. Mansfield Branch Mansfield was made up by a number of urban areas too distant to be linked together and a a result, the wired networks consisted of three discrete systems at Mansfield, Hucknell and Worksop. 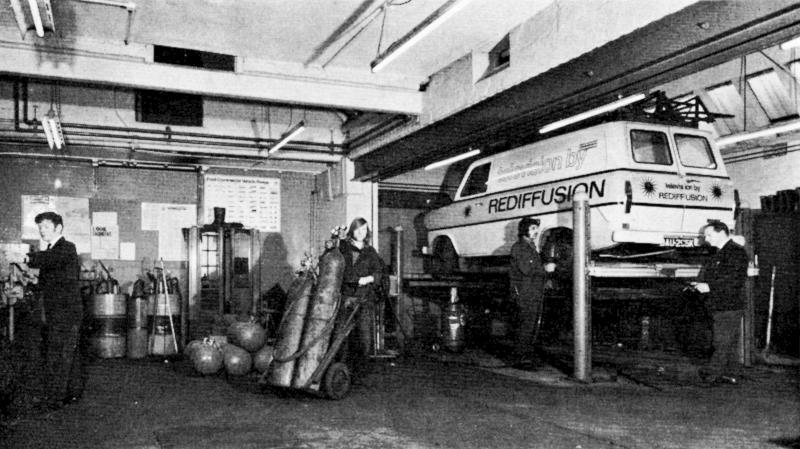 Retford with a showroom and service department also formed part of the branch. The EiC was D. Mould whose long experience in the business included overseas service in Nigeria, equipment engineering and control of many sections of the organization including the Nottingham television department during its important formative years. He is was supported by the Senior Equipment Engineer T. Smith, and the Network Engineer K. Challand and M Belcher the Television Supervisor. Although the branch organization was basically similar to that throughout the remainder of the Region, the co-operation displayed between the Mansfield sections within the branch and with other parts of the Region was outstanding. Burton -on-Trent Branch This operation consisted of a four prograrnme audio network in conjunction with a showroom and television rental and service organization. 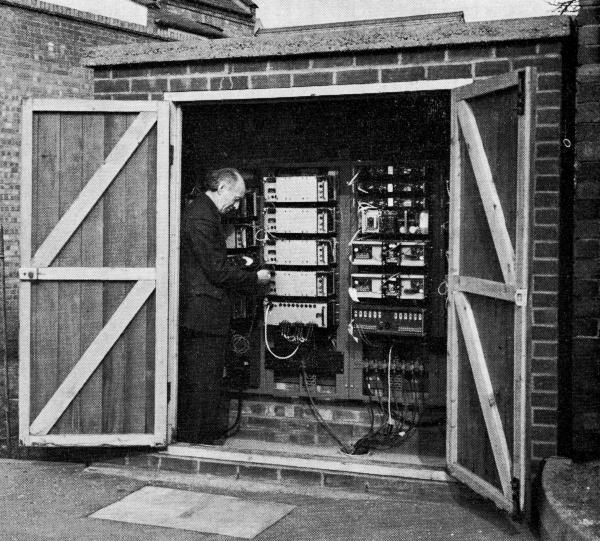 A. Freeman was the Senior Engineer and in addition to supervising the television service he also maintained the audio equipment which was housed adjacent to the workshops. 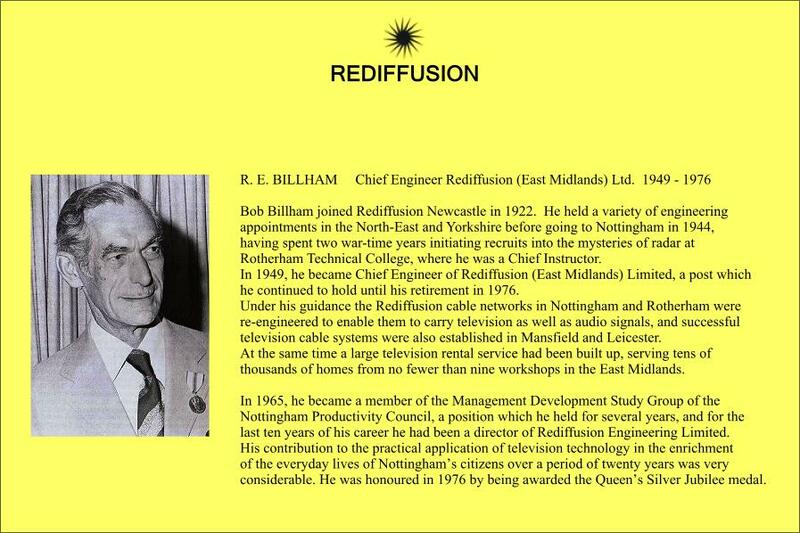 Mr. Freeman had some years of experience on the television side of the business in Nottingham and also a good deal of commercial experience with the Company. Northampton Branch This was a growth area with a Development Corporation operating alongside the County Borough local authority. The branch was quite successful in selling Community Service, mainly in the Borough, and this has enabled an hf system to be installed in contradistinction to the systems in operation when the business was taken over by the East Midlands Region in 1961. The very old two programme audio network had been dismantled and problems were presented by many relatively small and some medium.to large communal aerial systems whose future was somewhat enigmatic in the light of the signals receivable in the area at that time. the engineering reins. Mr Stamp moved to Northampton from the Rotherharn area where he occupied a number of positions, culminating in that of Network Engineer with responsibility for the network conversion. S. Betts and T. Ludlow held the positions of Equipment Engineer and Television Supervisor respectively; both of them had some years of experience in their respective jobs with the Northampton Wireless Company before its acquisition by Rediffusion. Norwich Branch Taken over from the Rank Organisation in 1968, this h.f. system was found to be well engineered, with all trunk routes underground and a feeder network consisting almost entirely of 9-pair cable. Mr. C. Honor, who was EiC at that time, was appointed Branch Manager and R. Skipper added to his original responsibilities of Television Supervisor by becoming Senior Engineer. For the changeover to all 625-line programmes a new aerial site was acquired and, with cooperation from Regional Workshop and Test Engineers, was brought successfuly into operation by the Branch staff in October 1970. A look back at the organisation of the East Midlands Region based around activities in the early - 1970's. Northampton Kings Heath Aerial Site.